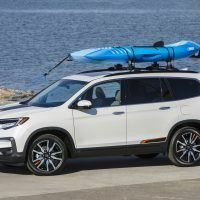 Families looking for a three-row SUV will definitely want the 2019 Honda Pilot on their list. 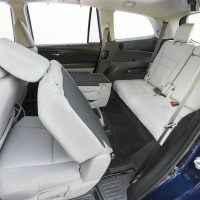 Pilot has the interior space for growing families; it comes with all-weather capability, seating flexibility, and cargo-carrying ability. 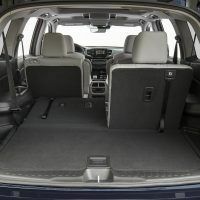 The Pilot gets a few tweaks for the new year, making it better for those needing an eight-passenger vehicle. 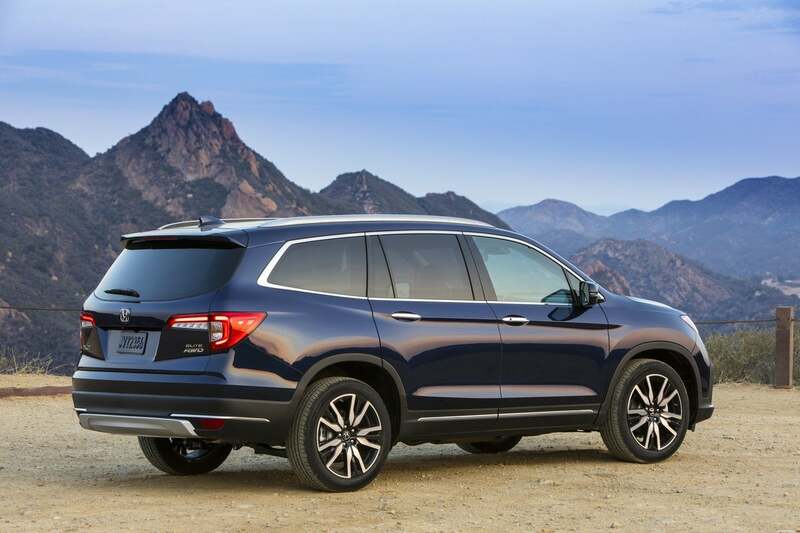 We spent the long holiday weekend traveling to see family in the top-of-the-line, 2019 Honda Pilot Elite. 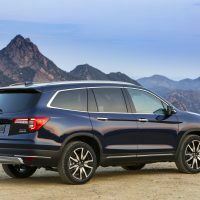 The Honda Pilot gets a minor styling update and a smoother-shifting nine-speed transmission. 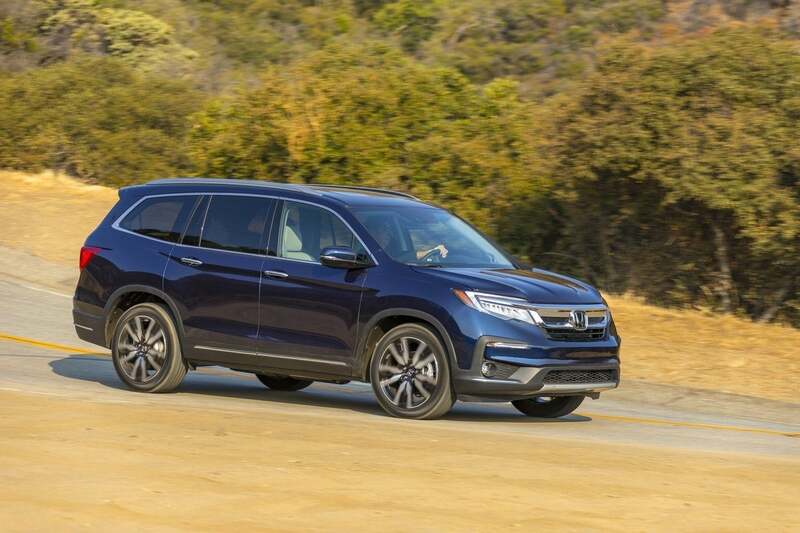 The Honda Sensing suite of advanced safety features is now standard for all trims. 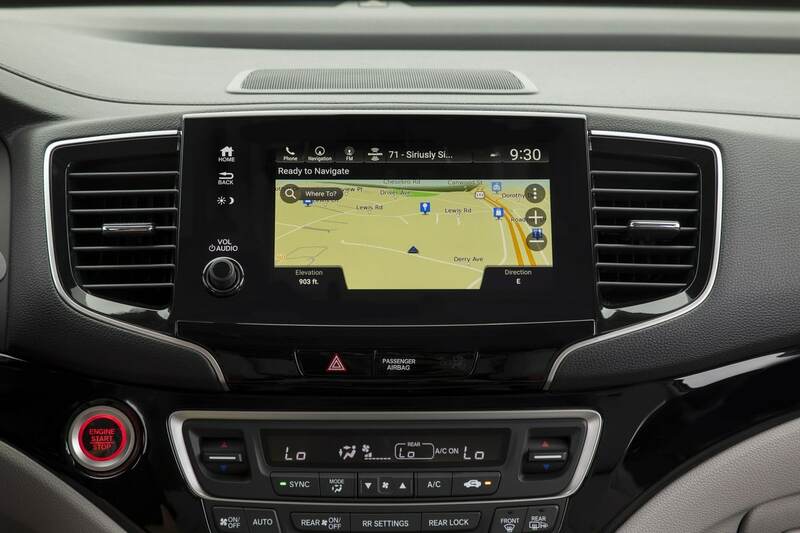 New tech features, including a revised infotainment touchscreen, were standard on our Pilot tester. 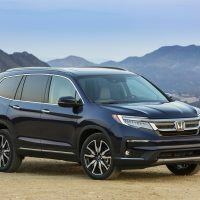 For 2018, the Honda Pilot received additional family-friendly features. 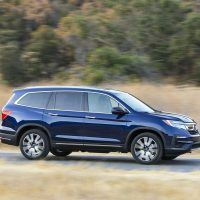 The top-trim, 2019 Honda Pilot AWD Elite ($48,020) comes loaded with heated mirrors, remote start, keyless entry, tri-zone automatic climate control, heated and cooled front seats, heated second-row captain’s chairs, a power-adjustable driver’s seat, and one-touch slide-and-fold second-row seats. 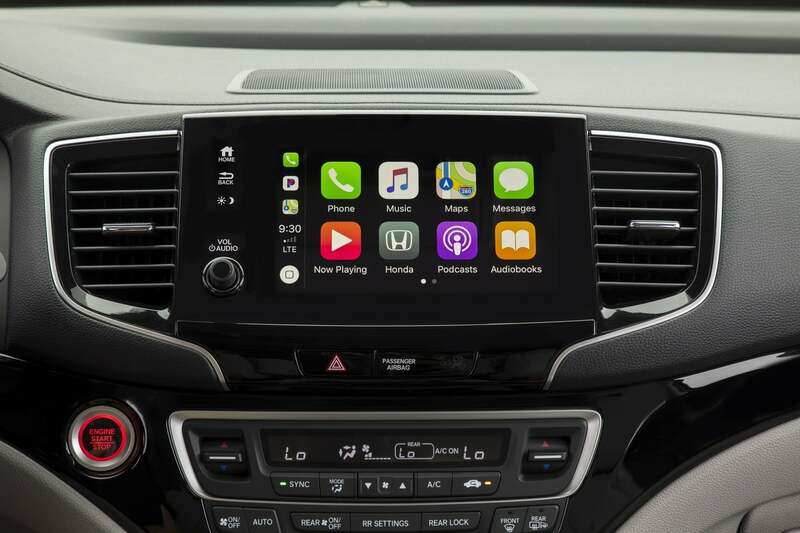 Through an eight-inch touchscreen, HondaLink and CabinControl integrate features like Android Auto and Apple CarPlay. 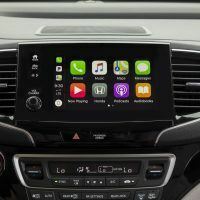 The Wi-Fi hotspot, satellie radio, and 10-speaker premium audio system are among the most useful infotainment features. 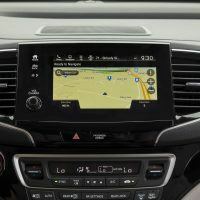 The terrain management system, blind-spot monitor with rear cross-traffic alert, and front and rear parking sensors are among the most useful features while driving. 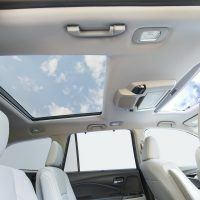 Our Pilot Elite came with a power lift gate, universal garage door opener, rear-seat window sunshades, an auto-dimming rearview mirror, heated steering wheel, leather upholstery, and second-row USB charging ports. 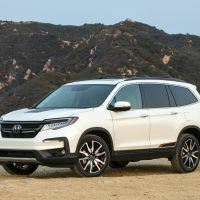 Other features included LED fog lights, 20-inch wheels, roof rails, automatic wipers, power-folding mirrors, a panoramic sunroof, and a wireless charging pad. 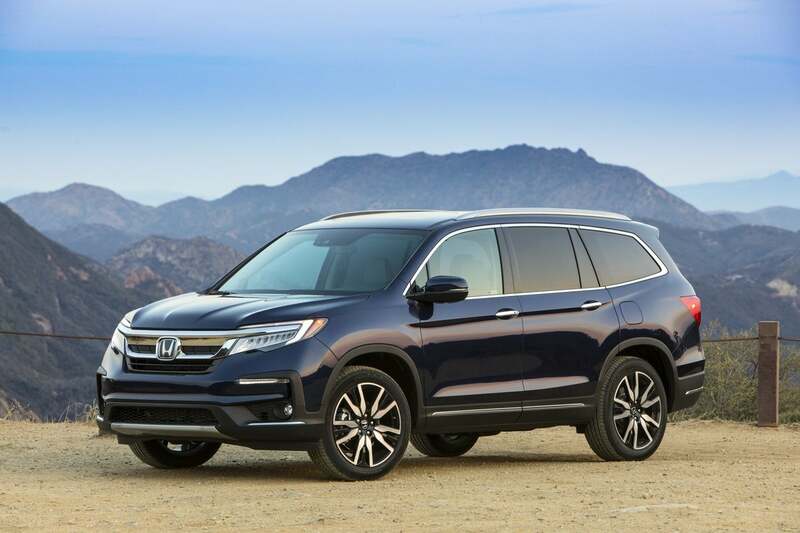 Total MSRP, including destination, for our 2019 Honda Pilot Elite: $49,015. 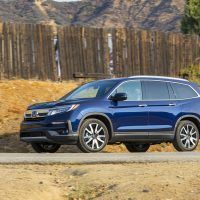 By comparison, the 2019 Honda Pilot LX starts at $31,450. 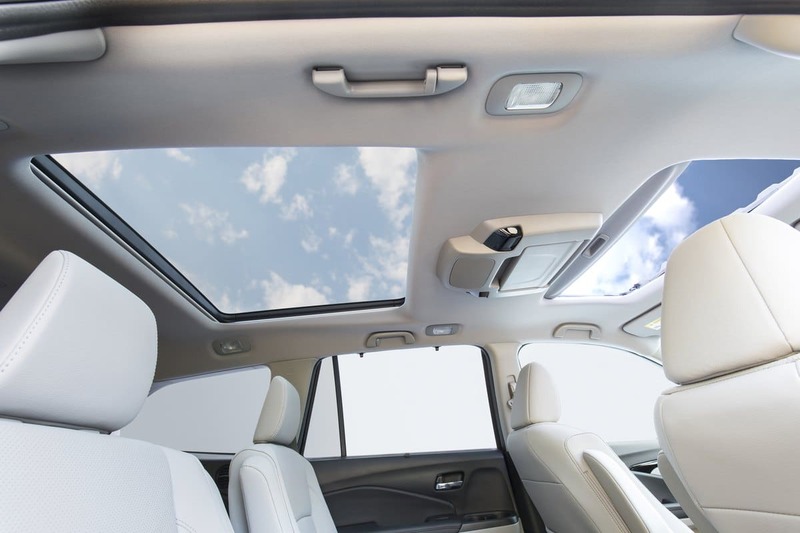 The roof rails make it easy to bring your hobbies and passions with you for a weekend excursion. 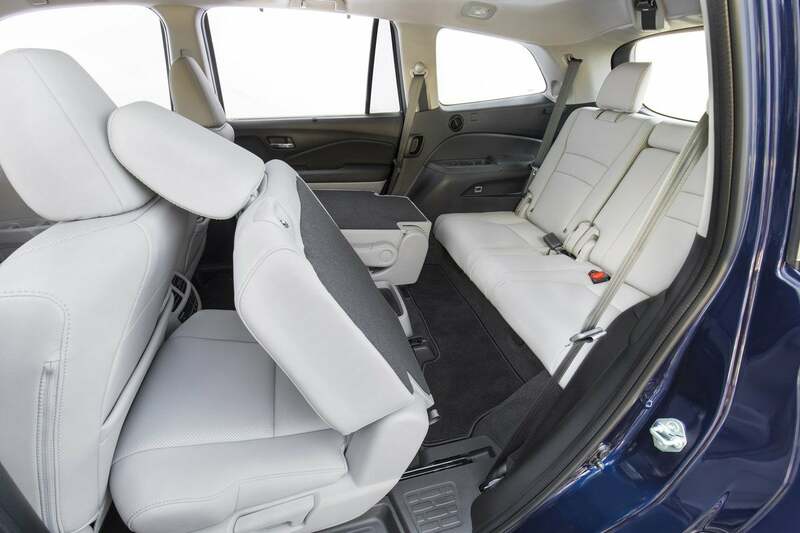 The front is roomy and comfortable, and when you get the memory functions set, you will always have the ideal driving position. 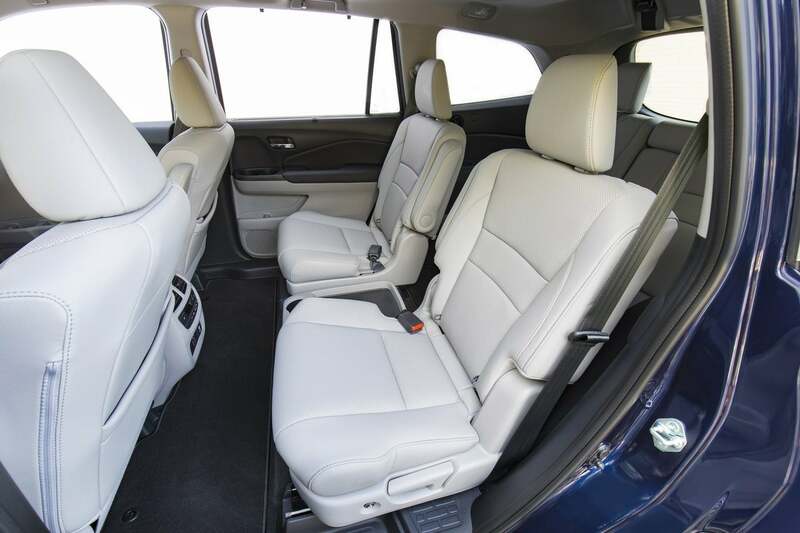 The view from the front is commanding, even for shorter members of the family with its high seating position. 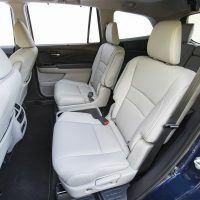 The seats are well bolstered, with good definition on the top Elite trim. 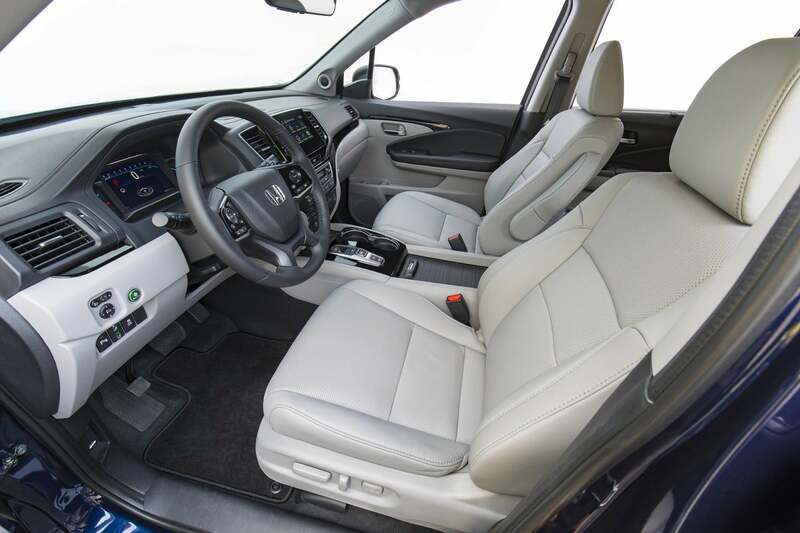 The push-button shift lever is a space-saver and gives more room for the deep cupholders. There’s also a shallow bin for a smartphone right next to a high-power USB port. 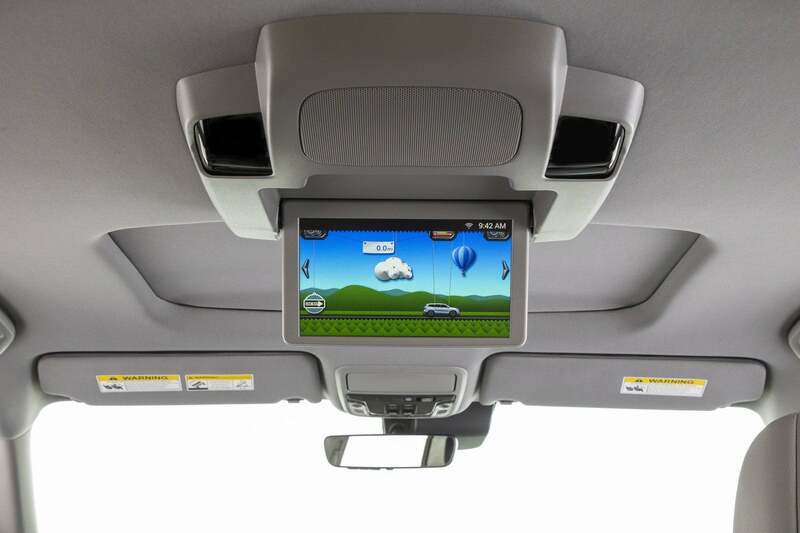 A sliding lid covers the deep center console. 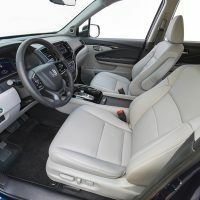 Second-row seating is a pair of comfortable captain’s chairs on the Elite model, with a floor-mounted tray in-between with cupholders. A one-touch power button moves the second-row seats and slides them forward. 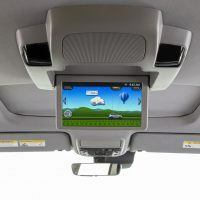 The floor is low enough for kids to easily climb back to the third row, although it might be a tight climb for tall adults. 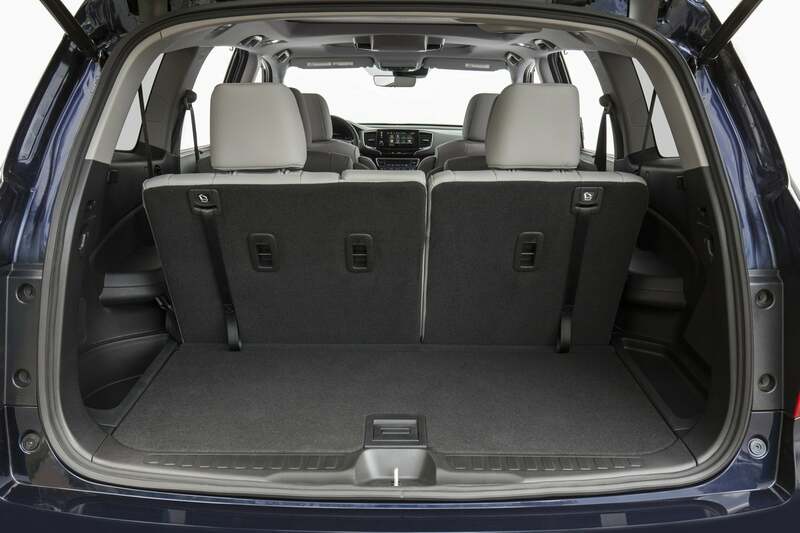 Once you are back there, however, there’s an amazing amount of head and legroom due to the exterior design. 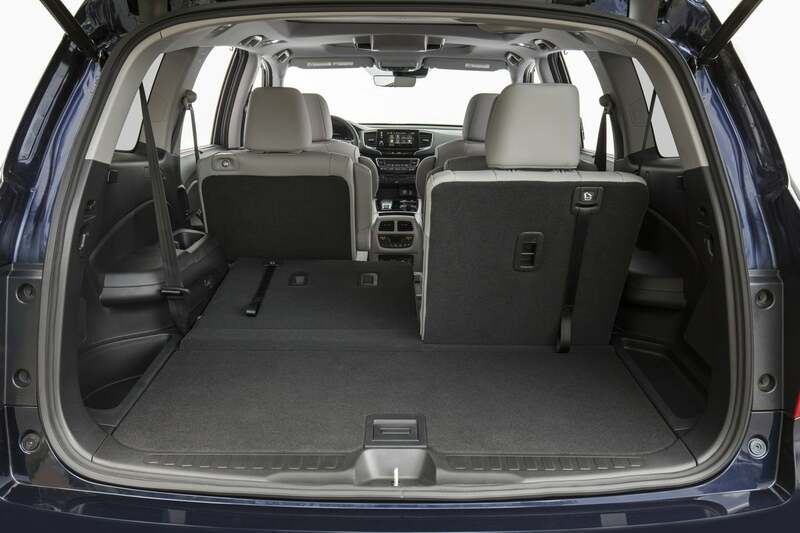 Behind the third row, there’s 18.5 cubic feet of cargo-carrying ability, plus a reversible cargo panel for muddy shoes after the soccer game. 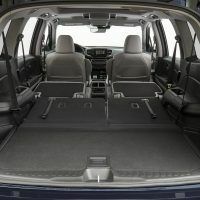 Behind the second row, there’s 55.9 cubic feet, as much as many SUVs have behind the first row; and behind the first row, there’s a massive 109 cubic feet to carry cargo. 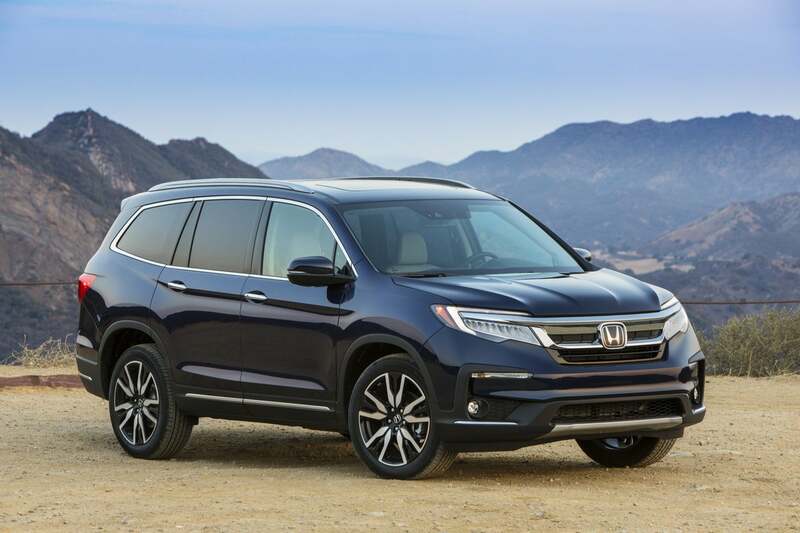 Related: The 2019 Honda Pilot provides minivan capability without being a minivan. 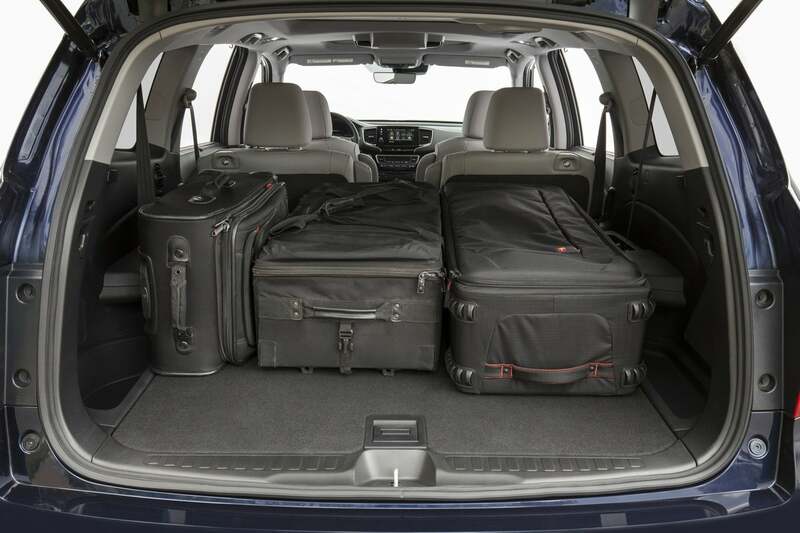 Those who travel for work should have enough room in the Honda Pilot for luggage. 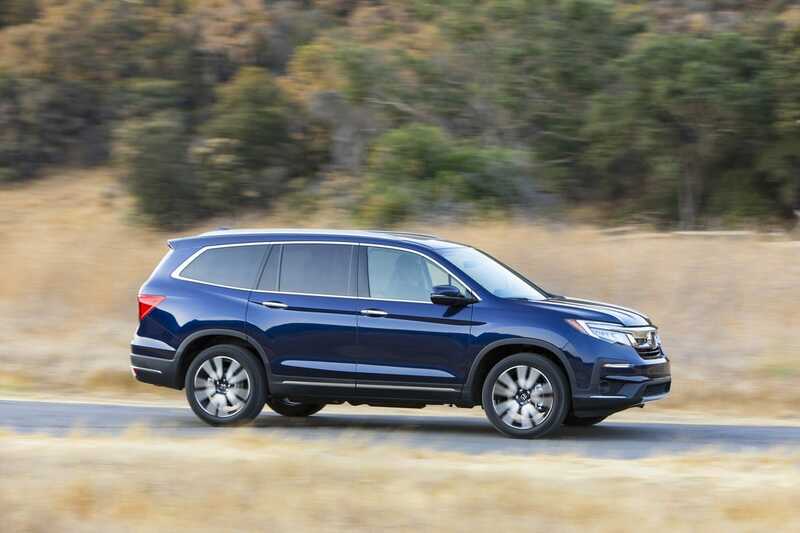 All Pilot models are powered by a 3.5-liter V6 producing 280 horsepower and 262 lb-ft. of torque. 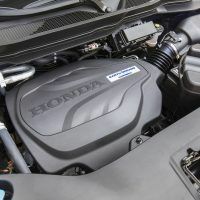 The engine is mated to a nine-speed transmission with steering wheel paddle shifters. All-wheel drive is standard on the Elite. EPA fuel mileage ratings come in at 19/26 city/highway and 22 combined mpg. 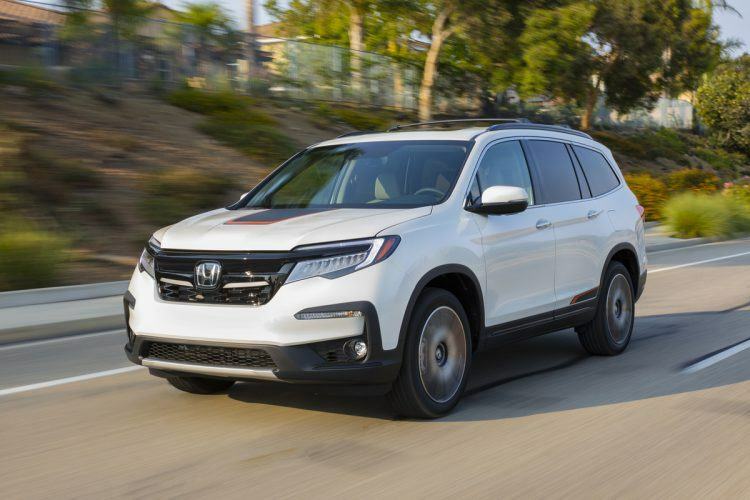 When compared to similar vehicles, the 2019 Honda Pilot Elite is near the top in terms of fuel economy. 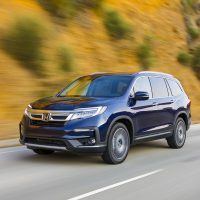 The 2019 Honda Pilot feels confident on the road and will keep families safe with all the standard safety technology. 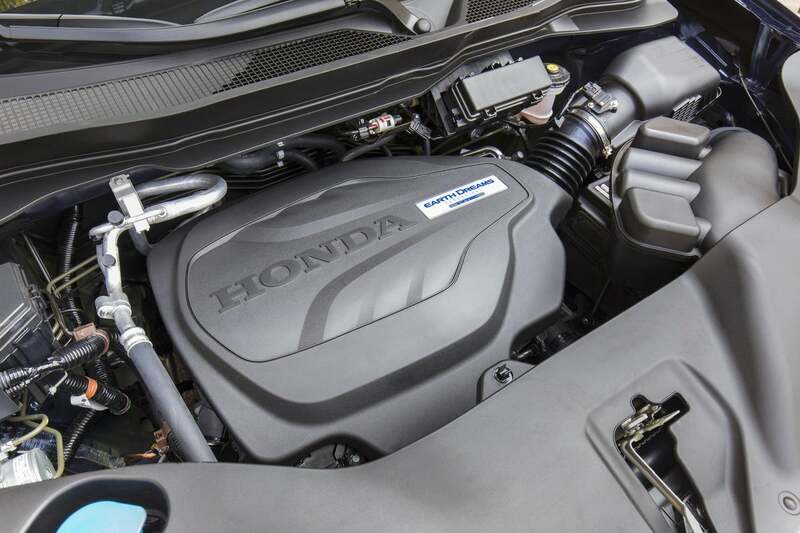 The V6 engine is powerful enough for even mountain driving at altitude. 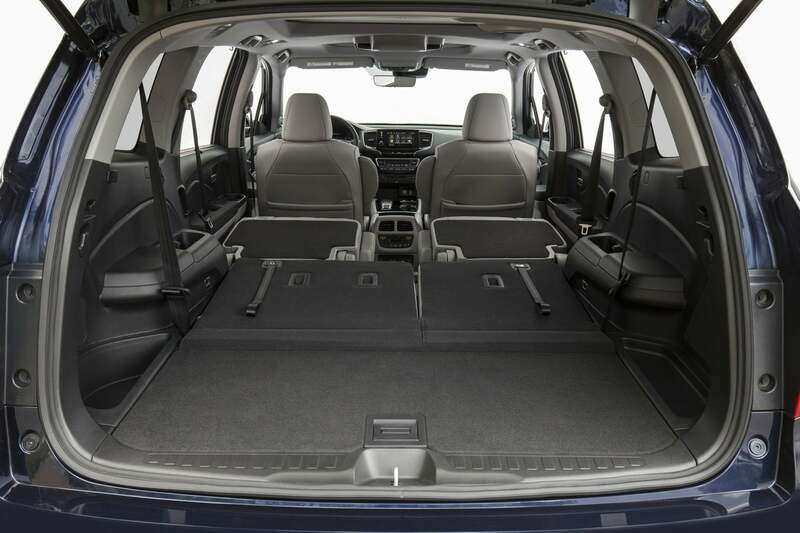 Press on the pedal and there’s plenty of juice for all driving situations, even loaded with people and cargo. We took the Pilot up I-70, into the mountains on the way to Blackhawk, and it was remarkably agile on the dirt roads and around the tight curves. 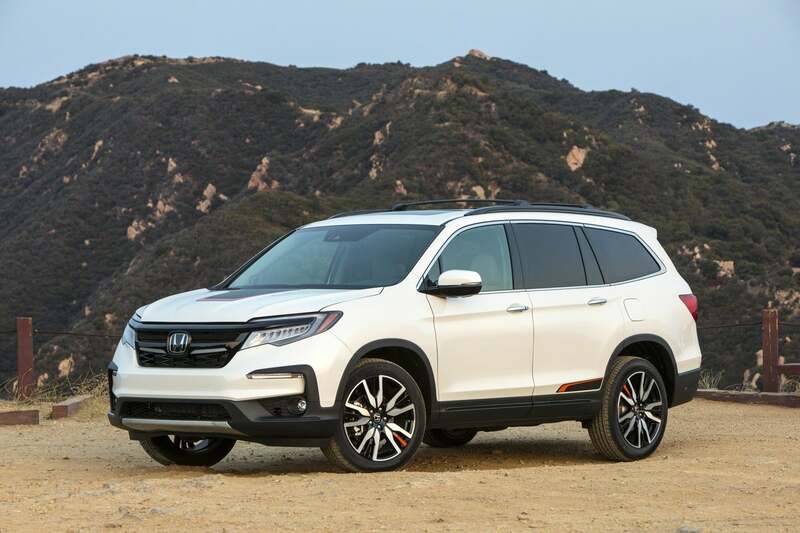 With the standard all-wheel drive on the Elite trim, this SUV is a winner on mountain roads and slippery surfaces. 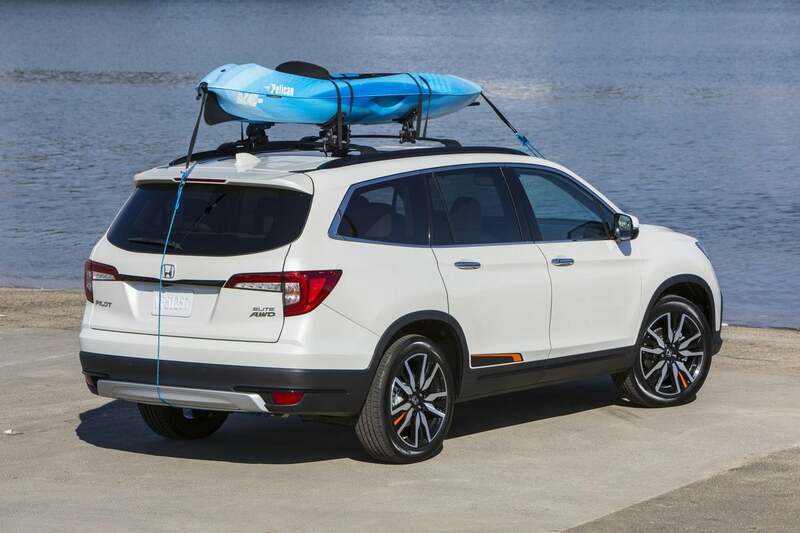 It can even manage light towing and mild off-road trails for more adventurous families. 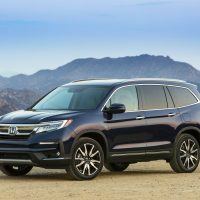 Honda has improved the nine-speed automatic. It now has less low-speed indecision and offers smoother shifts at low speed and low load. 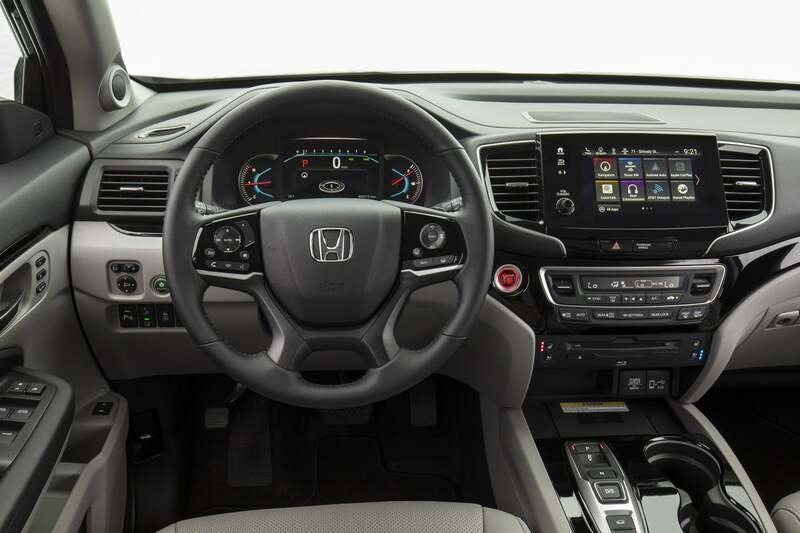 At full throttle going up hill, it shifts decisively, but you can also manually control shifts with the steering wheel paddle shifters. 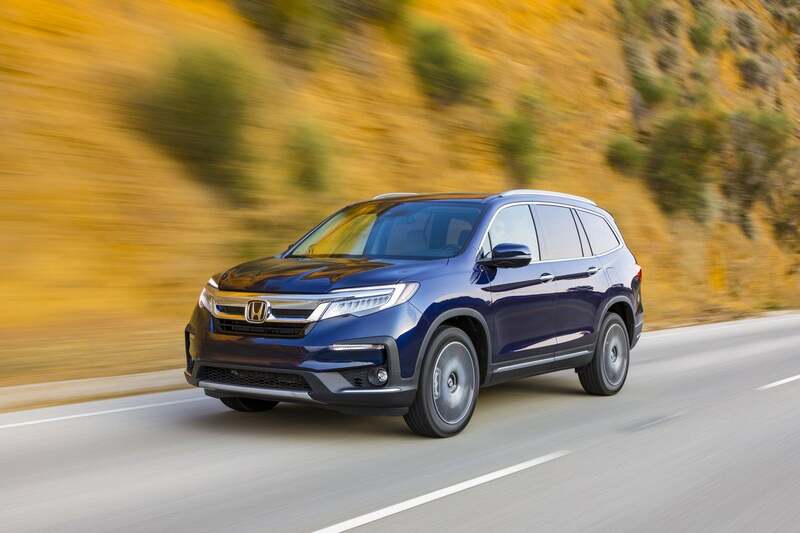 Like most SUVs, the Pilot is no sports car, but it feels more nimble than most. 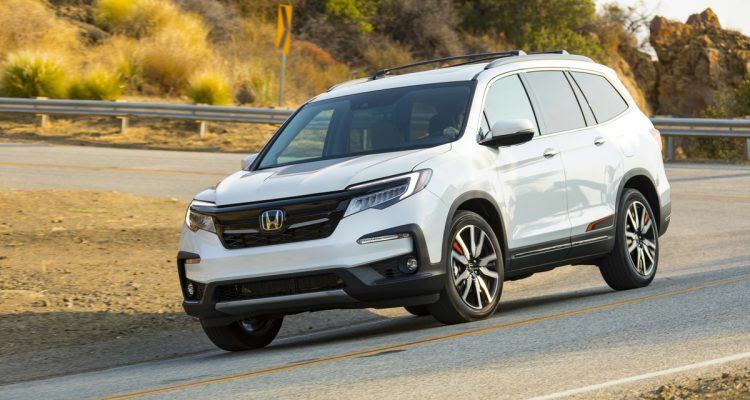 In the city, Pilot will change lanes confidently as handling is above average for the segment. 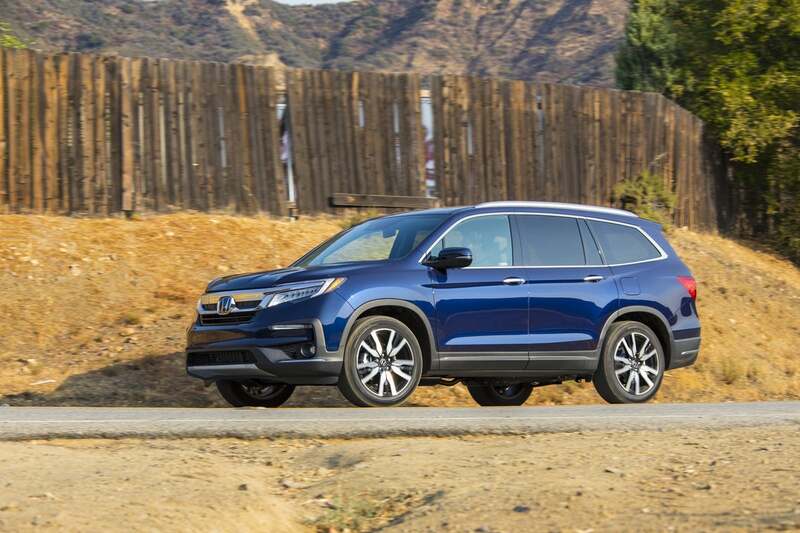 It’s also easy to see cars around you with its large side mirrors. 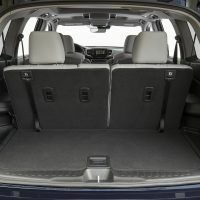 The 2019 Honda Pilot offers a roomy interior for growing families who need to move lots of stuff. 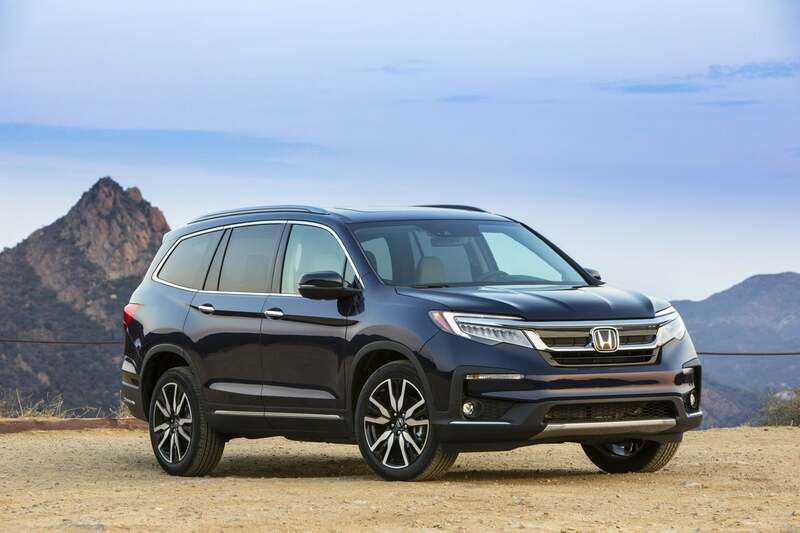 Fuel economy is better than many rivals and the driving dynamics are superior, especially if you drive rougher roads. 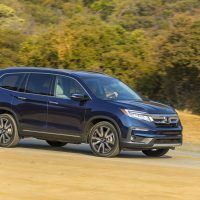 1 Comment on "2019 Honda Pilot Elite Review: Good For The Family"
Hey Bro! 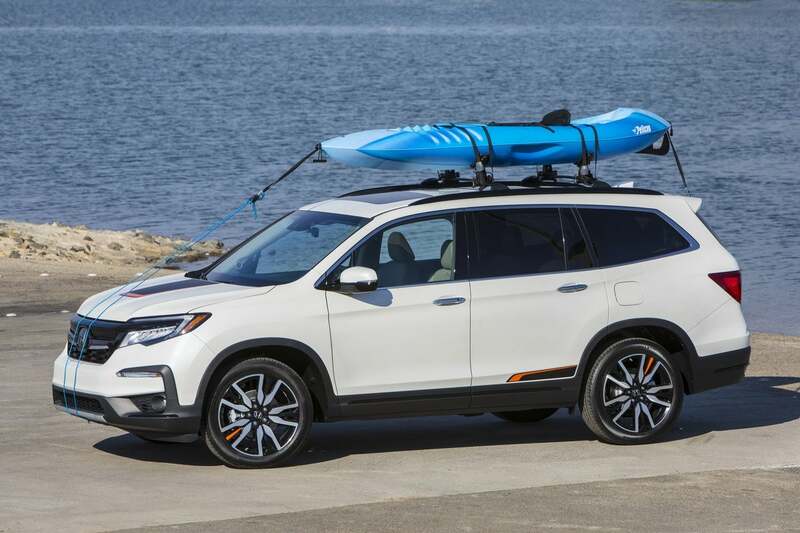 I found a similar car.Thinking about buying. 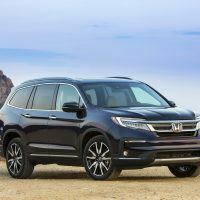 https://incacar.com/used/cars/honda/pilot/2016-Honda-Pilot-464440/ What is your opinion?